About a year later National Life brought in a new disc jockey named George Hay. George Hay loved hillbilly music, and without really getting anyone’s permission he started a Saturday Night radio show. He first called it the “Barn Dance,” but he later came up for a funny name for it: the Grand Ole Opry. George Hay had a knack for recognizing talent when he heard it, and before long the Grand Ole Opry was one of the biggest radio shows in America, featuring stars like Minnie Pearl and Roy Acuff. Soon people were coming from all over the country to watch the show being performed live. And after World War II executives from national record companies started flying down to Nashville. In those days, country music records were often recorded in hotel rooms, with one band playing a song for a microphone while another band waited outside. It was the beginning of what they now call in Nashville the “record business,” and today it means big bucks for Nashville. Nashville, also located in Middle Tennessee, is the state capitol of Tennessee. In Tennessee, we have natural beauty, southern hospitality, serene weather, and something for everyone. And we are within a day’s drive of 65 percent of the United States population. Tennessee’s mild weather offers a comfortable environment year-round. Spring blooms with wildflowers and dogwoods. Summer displays an ideal climate for playing outside. Colorful leaves and cool breezes are delightful occurrences in autumn. And our wintry weather delivers quiet surroundings with occasional dustings of snow. The state is divided geographically as well as legally into three regions, the state’s Grand Divisions: East, Middle, and West. Each region of the state furnishes a unique variety of geography. West Tennessee is the most geographically defined of the three regions, bordered by the Mississippi River on the west and the Tennessee River on the east with an abundance of smaller rivers and lakes in between. Middle Tennessee has a little more height with rolling hills and smaller streams. Dome-like geography, the Nashville Basin, surrounds the state’s capital Nashville with steep slopes and ridges called the Highland Rim. Moving into the eastern time zone, East Tennessee offers a mountainous region including the Great Smoky Mountains. The Tennessee River makes its way back into this portion of the state after running through the West, dipping down into Alabama and coming back into East Tennessee.  Tim Thompson Premiere Realtors is a Franklin-owned & operated real estate firm. We have extensive real estate sales experience and listings in Franklin, and throughout Middle Tennessee, encompassing all price ranges. Our office is conveniently located in historic downtown Franklin, TN -- just off Main Street at 148 Fifth Avenue North in our nationally-registered gray stone bungalow, where a realty company has proudly been in continuous operation for over 40 years.